Spring is the time when animals are looking for secluded locations for giving birth and raising their babies. Sometimes these sites aren’t so “human-friendly” like attics, chimneys or in your garage. The BEST solution when this happens is to leave them alone until they move out but if you must move them, please use HUMANE methods to do so. If possible, postpone your tree trimming until later in the season. 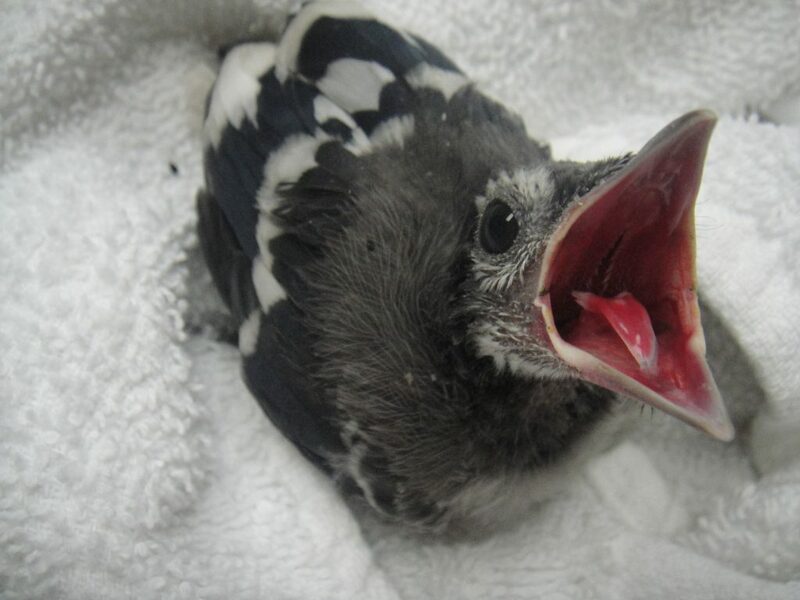 Squirrels, birds and raccoons nest in trees and you could easily displace baby animals by cutting down limbs and trees. RE-NEST BABY BIRDS – If you’re like me, I was told growing up that one should never touch a baby bird because the mom will reject it. This is a myth. If you find a baby bird and it appears uninjured, place it back in the nest. If you can’t reach the nest, you can place the bird in a shallow basket or box and hang it as close to the nest as possible. In most cases, mom will continue to care for it. If the bird is injured or the mom isn’t feeding the baby, it’s time to intervene. 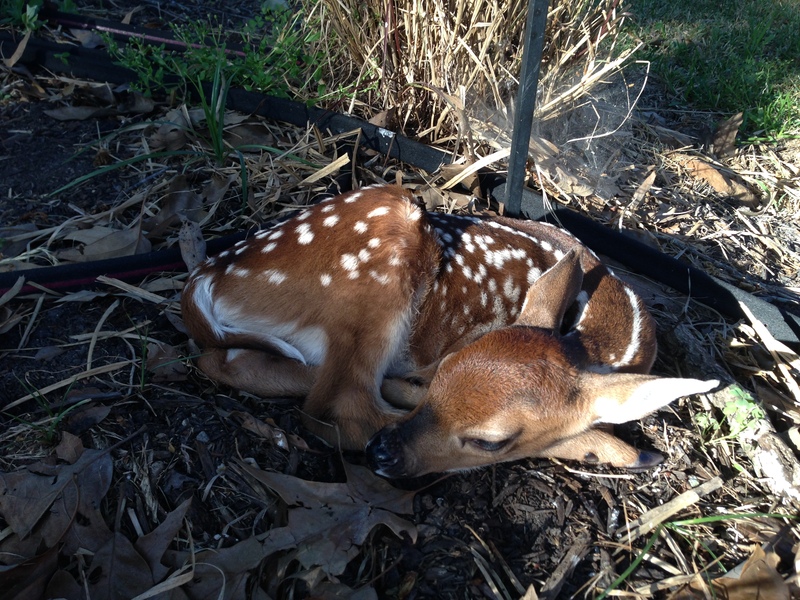 Place the baby in a small, covered container and bring it as soon as possible to TWRC Wildlife Center. Do not attempt to feed it or give it water! RACCOONS IN THE ATTIC – If you can’t wait until mom moves out on her own, you can “encourage” her to move by leaving lights on in the area all night. Place a radio in the area and play it loudly. It may take a couple of days but she will soon tire of the light and the noise and move her little ones. Then MAKE SURE you repair the opening where she got in. One other helpful information about raccoons. During late spring and summer, you may see raccoons out during the day. Raccoons are nocturnal EXCEPT if they are nursing moms. It is not uncommon for females to be out during daylight hours looking for food. It does NOT mean she has rabies. FAWNS – It’s normal for a doe to “park” her fawn and leave it there for hours while she goes off to eat. The fawns instinctively know that they must stay there until she returns and unless she has been injured, she WILL return. Since fawns are odorless, predators are unable to pick up their scent. When the fawn is about a month old, it will begin traveling with mom but in the meantime, please LEAVE IT ALONE! BABY RABBITS – If the babies are not injured and the nest is intact, leave them alone. Just like a mama doe, rabbits only visit their young two to three times a day. Here’s a good test if you think the babies really have been orphaned. Use sticks or yard and make an “X” over the nest. If, after 12 hours, the “X” is still in place, the bunnies are probably orphans and you need to bring them to TWRC for care. Do not attempt to feed them or give them water! 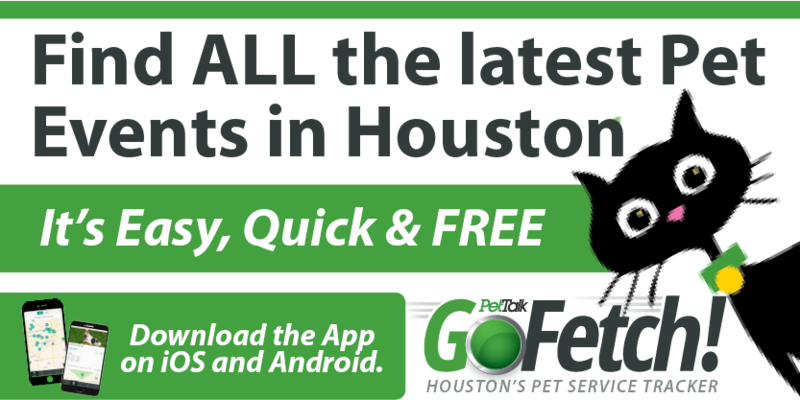 If you have questions about wildlife, please call TWRC Wildlife Center at 713-468-TWRC. They are available to answer your questions and give you guidance on living in harmony with our furry and feathered friends.